At the heart of the famous vineyards of Margaux, 30 minutes from the airport of Bordeaux, Relais de Margaux is the preferred destination for exploring this beautiful region. 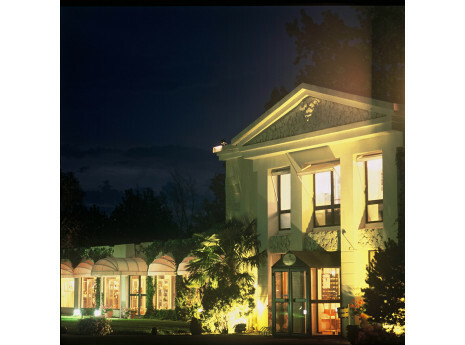 The hotel offers a restaurant, a brasserie, a spa center of 500m ² with heated pool, sauna, hammam, fitness and relaxation room pool, a tennis court, a volleyball court, an outdoor pool, conference rooms and a 18 hole golf course. Recover well-being and balance between mind and body. Enjoy being pampered from head to toes by expert hands. Escape to other spaces: a Moorish area (sauna, Turkish bath), a solarium, a fitness room, a resting room and a restaurant with outstanding views on the golf course and Gironde.